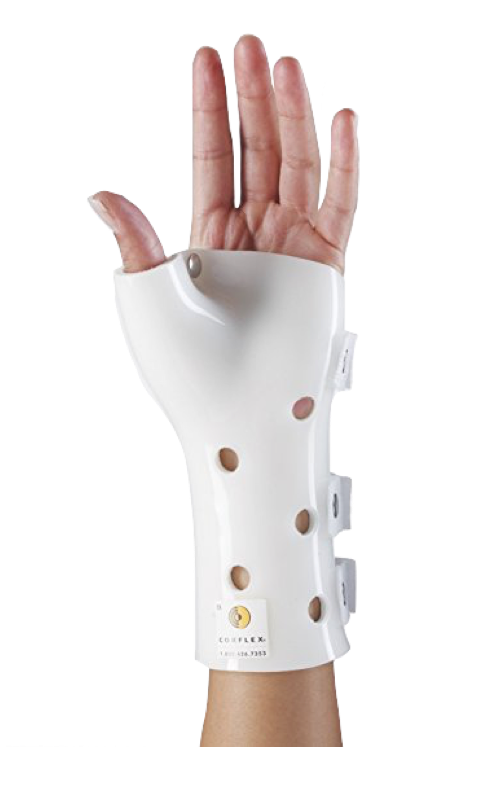 A bone that has broken fully, partially or hairline in the wrist, hand or lower arm. 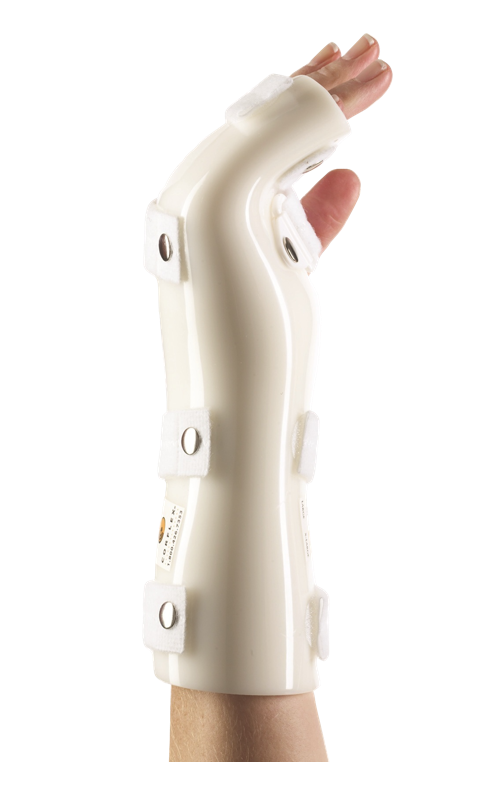 Immobilization is the most important issue when dealing with fractures. 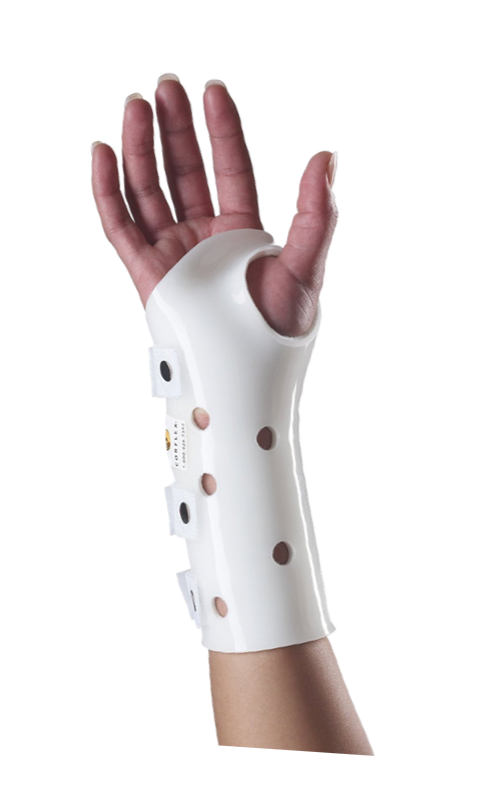 A rigid but comfortable brace or splint that can be worn all day. Must be taken off to wash the arm.